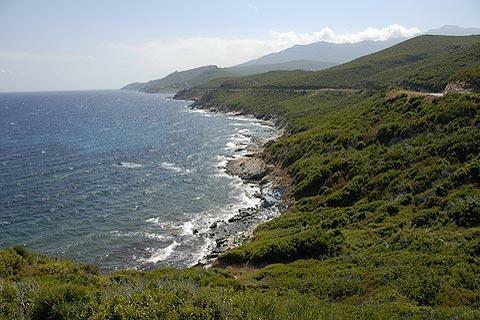 The Corsica coast road passes 600 kilometres around the coast of Corsica. En route it passes through or by many of the most interesting and important sites. If you have time for a thorough exploration of the island, this route would make a fine starting point for your plans! the road passes through Porto-Vecchio then leads along to Aleria, centrally placed in the eastern coast. For scenic highlights in each of these regions see the 'Corsica scenery' section. 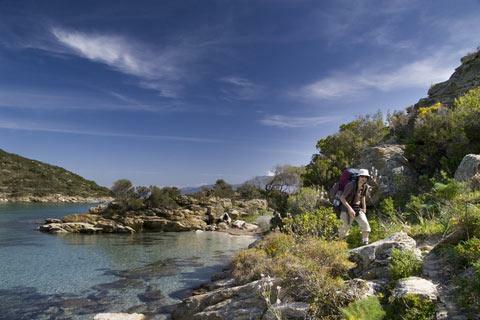 Allow at least a two-three week visit to Corsica to follow the entire route, plus a few days to head inland to Corte. 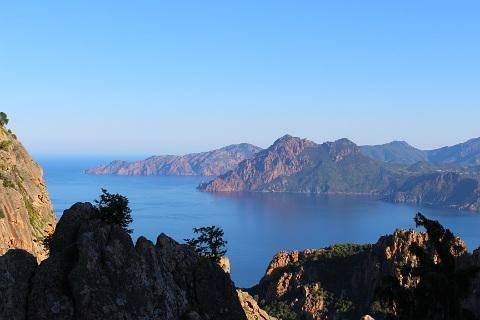 Four - six weeks would be better if you want to spend time on the magnificent beaches or relaxing and taking in the atmosphere, or exploring some of the many beautiful villages of the interior of Corsica - albeit impractical for most of us to get away for so long! There is of course no obligation to follow the entire route! An alternative for example would be to follow the coast starting from Bastia (as above) but on reaching Ajaccio head inland via Corte and the mountains to return to Bastia.